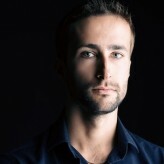 At Winner Casino we are always working hard to bring you new and exciting games to enjoy. 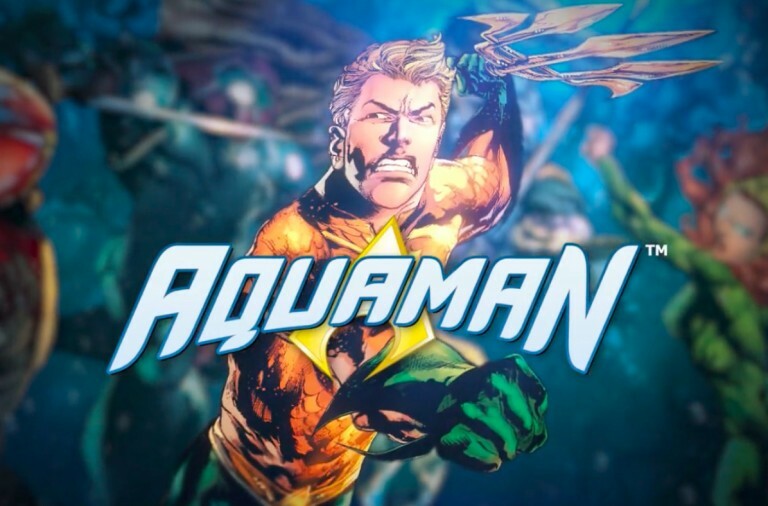 The last few days have seen the release of three exciting new slots, based upon myths and legends, popular films, and fairy tales. Best of all, not only do all of them offer exciting bonus features, but they are all linked to at least one progressive jackpot! The Age of the Gods series of slots brings different elements of Greek mythology to life on the reels. 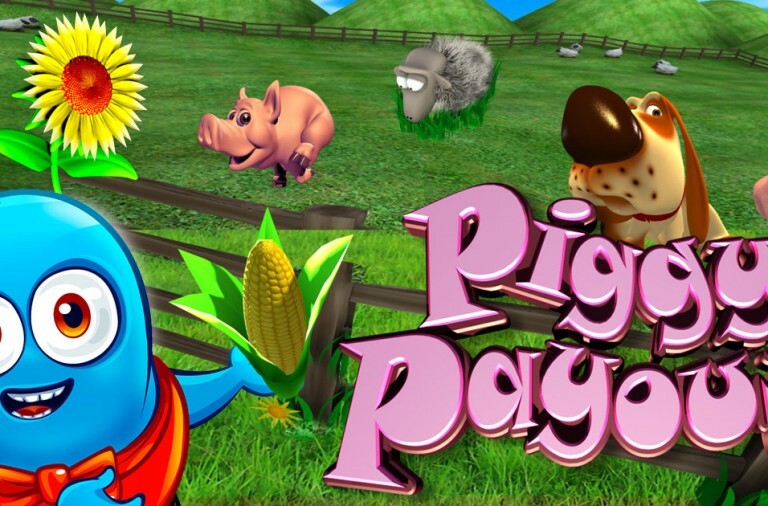 The games are hugely popular as they are packed with features and linked to four progressive jackpots. Now there is a new game in the series, Medusa and Monsters, and it focuses on the scarier parts of the myths while giving you the chance to win big. Age of the Gods: Medusa and Monsters is a 6 reel slot with 7 rows and 164 fixed paylines. Behind the gold-framed reels you can see a beach underneath a threatening looking sky. There are a number of theme related symbols including Aphrodite (the goddess of love and beauty), the Minotaur (a monster with the head of a bull and body of a man), Cerberus (the three-headed dog), a longboat, a sword, and Hermes’ winged helmet. The lower value symbols are gemstones coloured white, red, green and blue. All of the symbols can land stacked on the reels. The wild symbol is of course Medusa. She will substitute for all of the other symbols, except for the scatter symbol, to help and form winning combinations. Furthermore, she will expand to fill the entire reel whenever she lands. The shield is the scatter symbol and can land in stacks of two on reels two, four and six. When the scatter symbol lands on reels 2, 4 and 6 at the same time the Medusa’s Gaze Free Games begin. First you are asked to pick from the shields, this will reveal a high value symbol and every time that symbol lands during the spins it will be petrified (frozen) by Medusa. During the spins, the Medusa wild starts on the sixth reel and moves one reel to the left with every spin. Each time she lands on the same reel as a petrified symbol then that symbol is unfrozen. The spins will continue until Medusa lands on the first reel. 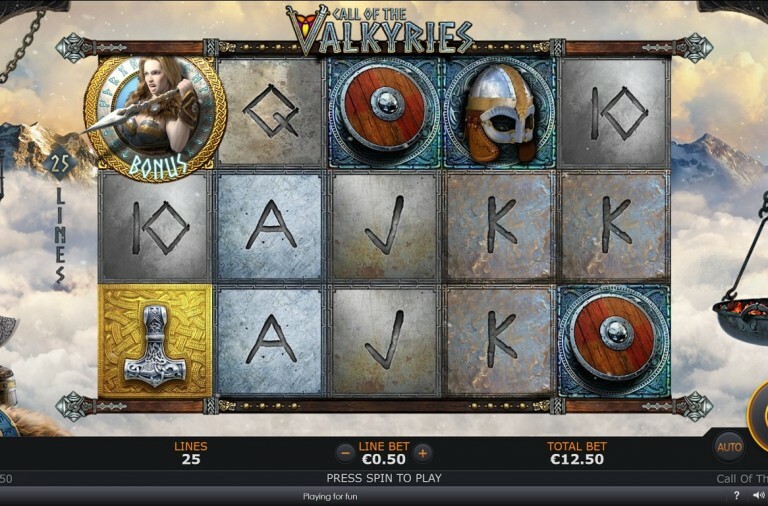 The slot is linked to the four Age of the Gods progressive jackpots. If you keep the reels spinning then the jackpot game could begin at any time. Best of all, once it starts you are sure to win one of the four jackpots. The game consists of a grid of twenty gold coins and you need to pick from them one at a time. Each of the coins represents one of the jackpots and when you have found three matching symbols, you win the corresponding jackpot. From largest to smallest the jackpots on offer are: Ultimate Power, Super Power, Extra Power or Power. 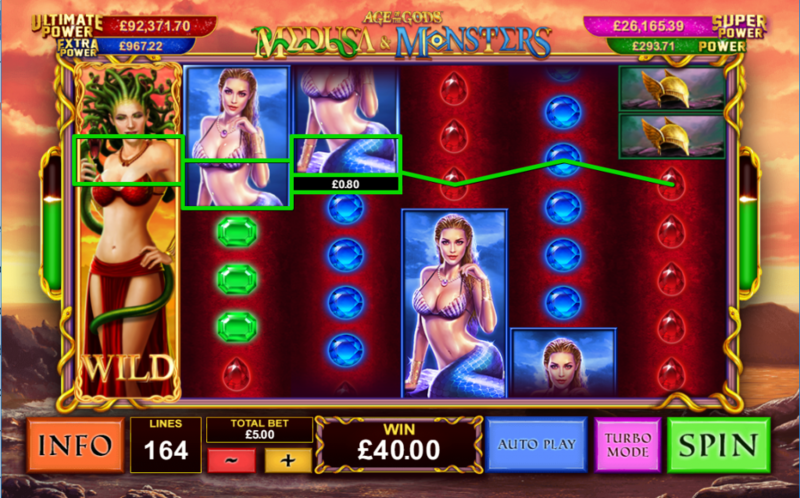 Age of the Gods Medusa and Monsters has a betting range of £0.50 up to £100 per spin. There is a top fixed payout of 150x up for grabs for landing six Aphrodite symbols along the reels. The Minotaur can payout up to 100x, Cerberus can payout up to 75x, the longboat, sword and helmet can all payout up to 50x, and the gems can all payout up to 25x. Why not try this exciting new slot today and with a bit of luck you will soon be our next progressive jackpot winner. To this day people love the film Grease. Released in 1978, it has become a firm favourite and the soundtrack is still regularly heard in clubs, at parties, and so on. 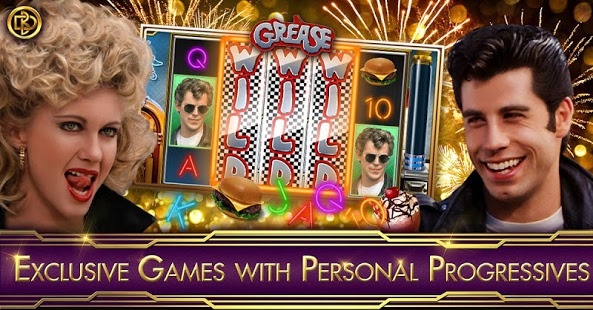 If you are one of the millions of Grease fans then you will be pleased to hear that all of your favourites characters have been brought to the reels in an exciting new slot offering two progressive jackpots! Grease is a 5 reel slot with 20 fixed paylines. The action takes place inside a diner lit with pink neon lights. There are six high value symbols, Sandy, Danny, Betty, Kenickie, a car and a milkshake. There is also a special symbol featuring both Danny and Sandy, and it can substitute for either of the individual symbols. The lower value symbols are the playing cards J, Q, K and A. The heart is the wild symbol and it can substitute for all of the other symbols, except for the scatter, to help you form as many winning combinations as possible. The scatter symbol is a gold coin with ‘Grease’ on it. While playing the game, the Sweetheart Wild Symbols feature can start at any moment. You will see heart symbols cascading over the reels and between five and eight of them will land to help you form as many winning combinations as possible. If the scatter symbol lands on reels one, three and five simultaneously then the Jukebox Bonus begins. You are given the choice of three bonus games: the Better Shape Up Free Games, the Summer Nights Free Games, and the Rydell High Bonus. The Better Shape Up Free Games gives you 12 free spins in which only the high value symbols and the wild symbols will appear. The Summer Nights Free Games gives you 4 free spins and with each spin wilds will fall from above and between five and eight of them stick to the reels. The Rydell High Bonus is a picking game in which you need to pick photos from the school yearbook in order to win cash prizes. The game has five levels and at each level, you have the chance of uncovering ‘Win All’ and collecting all of the prizes. When the Sandy symbol, Danny symbol, or the symbol with both characters fills the first reel then the Rockin’ And a Rollin’ Respins begin. You win three free respins during which all of the wilds that land on the reels will lock in place. If you triggered the feature with the Sandy symbol then all Sandys will lock in place, if you triggered it with Danny then all the Danny symbols lock, and if you triggered it with the combo symbol then all three symbols will lock in place. 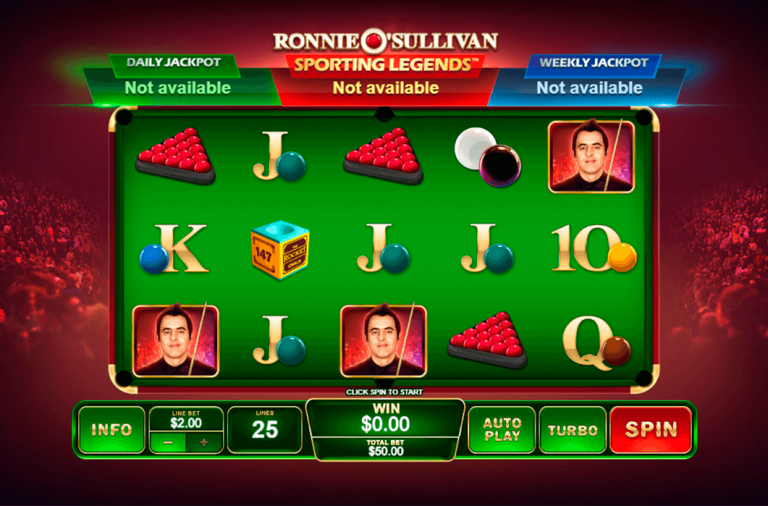 The game is linked to two progressive jackpots, Danny’s Jackpot and Sandy’s Jackpot. The jackpot game can begin after any spin of the reels, regardless of the symbols that land or how much you have bet, and if it starts then you are sure to win one of the two jackpots. The jackpot game is a simple picking game, you need to pick from the Grease logos to reveal either Sandy or Danny. You keep picking until you have uncovered three matching symbols and then win the corresponding jackpot. Grease has a betting range of £0.01 up to £20 per spin so it won’t cost you much to play this new slot. 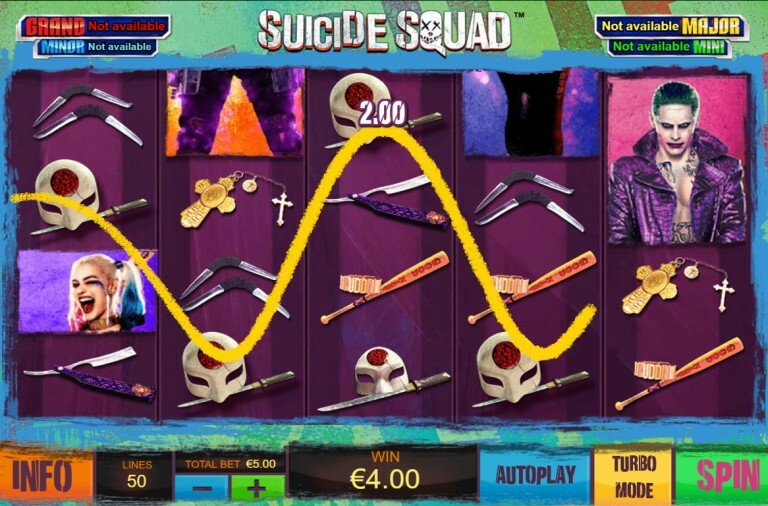 In addition to the progressive jackpots, there is a top payout of 1,000x for landing five wild symbols on the reels. The Danny and Sandy combo symbol can payout up to 400x, Danny and Sandy individually can both payout up to 200x, Betty and Kenickie can both payout up to 100x, and the car and milkshake can both payout up to 40x. While this year’s summer nights may have ended, you can still have a fantastic time spinning the reels of Grease slots. 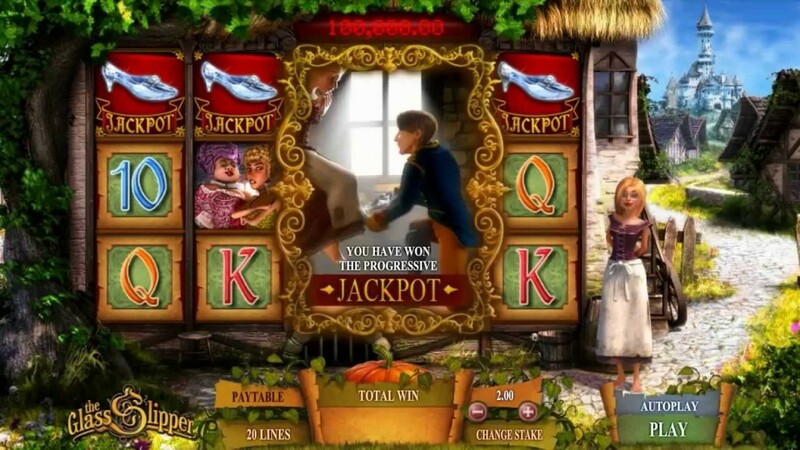 If you still enjoy the fairy tales from your childhood, and in particular the story of Cinderella, then you are sure to love the new The Glass Slipper slot at Winner Casino. Not only does it bring the story to the reels but it is giving you the chance to win another progressive jackpot. It is a 5 reel slot with 3 rows and 20 fixed paylines. The reels are set on the side of Cinderella’s house and you can see her standing to the right of the reels. In the background is her village with the Prince’s castle in the distance. There are just two standard high value symbols, the prince and the ugly stepsisters. The lower value symbols are the playing cards 10 through to A. The game has a number of special symbols. There is a ‘Wild’ symbol that will substitute for all the other symbols, except the scatter and bonus symbols, to help and form wins. There is a ‘Jackpot’ symbol featuring the glass slipper. There is a bonus symbol featuring a wishing well, a ‘Super Wild’ that can land on the fifth reel, and a ‘Free Spins’ symbol. The progressive jackpot is won simply by landing five ‘Jackpot’ symbols across a payline. Landing three or four of them will payout 200x and 2000x respectively. If you land the well bonus symbol on the fifth reel the Spring Clean Bonus begins. You need to help Cinderella wash the windows and each pane cleaned earns a cash prize. The game continues until you break a window. If you land the Super Wild on the fifth reel you will see doves fly over the reels and change up to five symbols into Super Wilds. The reels are then re-evaluated for any new wins. If you land the fairy godmother scatter symbol on reels one, three and five simultaneously the Magic Free Spins begin. With each spin time will move forward and you have to help Cinderella get to the Grand Ball before midnight. The free spins end when the clock strikes midnight. However, the fairy godmother can appear and turn back time and this way you can win up to fifty free spins. During the free spins three special symbols can land, one with Cinderella’s feet, one with a dress, and one with a pumpkin. If you form a win with each of them during the free spins then the Grand Ball Bonus begins. You need to choose dance moves to charm the prince for cash prizes. The game continues until the clock strikes midnight, but once again the fairy godmother can turn back time. 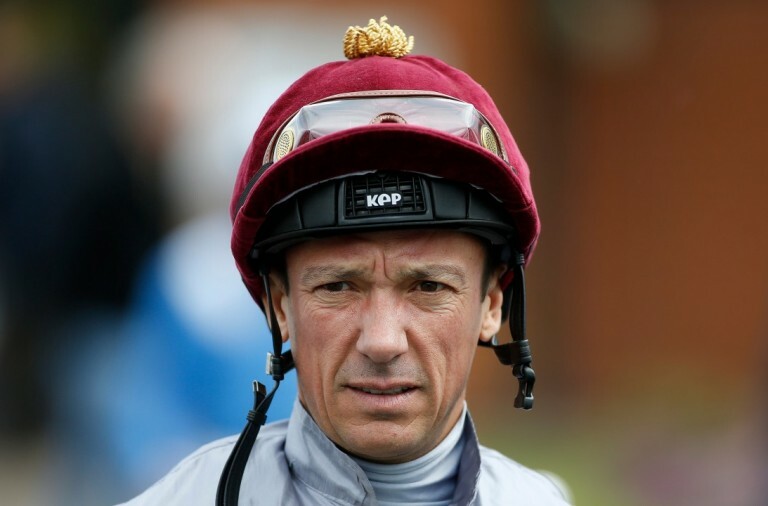 The Glass Slipper has a betting range of £0.20 up to £500 per spin so everyone can afford to try it. There is a top payout of 5,000x for landing five wilds across the reels, the prince can payout up to 1000x and the ugly stepsisters can payout up to 500x. Join Cinderella at the ball today and with a bit of luck, you will come home with the jackpot long before midnight. 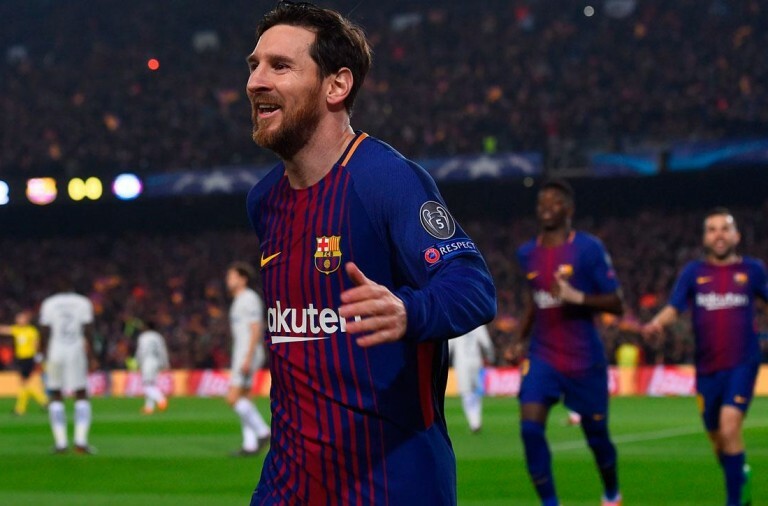 What Happened to Neymar at Anfield?